We’ve been waiting for a long time to see any number of items talked about, but never delivered by Mike Zullo. I wrote about that in my first article titled, “Waiting for Zullo” back in 2013 where I listed 34 such items, and the answers are still not forthcoming. Plaintiffs’ filed three subpoenas on September 25, 2015 with this court, but have not indicated that they have served Mr. Zullo. In fact, the subpoena filed on September 25 with the Court clearly shows service of Mr. Zullo on the preceding day (see page 37). In addition, Plaintiffs have known for months about Mr. Zullo and his role with MCSO in this action, but failed to ever serve a subpoena on him. Plaintiffs apparently believe they are entitled to rolling discovery in this case with absolutely no limitations or regards to Defendants’ rights. Indeed, Plaintiffs’ Notice of Subpoenas does not provide any reason as to why this information is relevant let alone why there is good cause that it should be discoverable now, or why it should be produced on such an expedited timetable. Plaintiffs had ample opportunity to discover their requested information, but failed to do so, and now seek to recover this information when proceedings are ongoing, in a further attempt to continue their “trial by fire” litigation tactics. The Zullo subpoena requests documents in “native format.” Native format is the format in which the information is usually maintained on the producing party’s system. A problem with such raw data is that individual items, such as emails, cannot easily referenced (by a the “Bates number” we keep hearing about in testimony), cannot be redacted, cannot be marked confidential, and cannot be viewed without the application software that produced it; however, it is the format with the least cost to produce. An email folder may consist internally on the computer as a single file that could be copied to a flash drive. Paper documents have to be scanned, but who uses paper any more? OK, Arpaio only has a typewriter. Never mind. I cannot count the number of times in my IT career that I asked “what format do you want it in?” in response to requests for information. I would suggest to Zullo that he take the subpoena literally, and just dump the files. If Zullo’s information is not well-organized, then it could take a fair amount of time to separate what is responsive to the subpoena vs. what is not. Considering how long it has taken Hillary Clinton to respond with her emails, perhaps 5 days is a bit short of the requisite time for Mike Zullo to sort through his, quaquaquaqua. Documents showing any discussion relating to this litigation or investigation by Mr. Zullo or others, targeting any judge or elected official, during the requested time frame, are also material to this Court’s determination of whether the retention of Dennis Montgomery reflects Sheriff Arpaio’s use of Mr. Zullo to target and investigate the Sheriff’s perceived opponents, which will case light on the activities of Mr. Zullo relative to this Court and case. Plaintiffs observe that Zullo may have emails from certain MCSO staff that were not turned over by those individuals previously, but perhaps should have been. While the soup pot for Mike Zullo warms up in anticipation of October 7, there is another area under scrutiny. It deals with the failure of the MCSO to produce 1,500 ID’s confiscated by MCSO that the Court says it had ordered be delivered. Subsequently US Marshals took possession of the IDs. There was a suggestion that counsel for Arpaio might have been involved in the non-production of the IDs and now Judge Snow has today granted plaintiff’s motion to compel testimony regarding discussion about production of the IDs Counsel had with MCSO on July 17, 2015. In particular the finger is pointed at attorney Michele Iafrate. The motion was filed September 10, and is document 1319 in Case 2:07-cv-02513. Plaintiffs also filed a second notice of the deposition of David Tennyson that was to be held today (Sept. 28). Sgt. Tennyson was accused of conducting an inadequate interrogation during the internal criminal investigation of illegal activity by the Department’s Human Smuggling Unit. See: “Arpaio’s Chief Deputy Shredded on the Stand” for more on Tennyson. Did the ACLU just subpoena the Reed Hayes report? 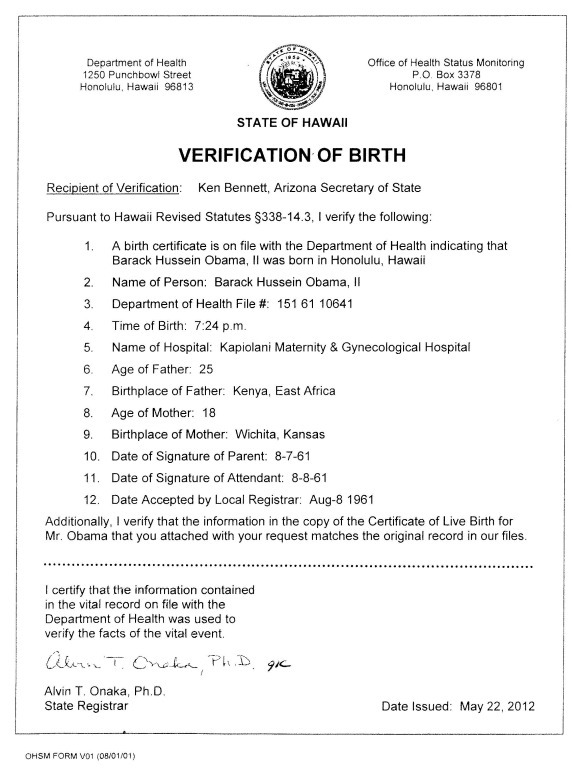 Reed Hayes is a professional document examiner from Hawaii, and to my knowledge the only person in his profession to conclude that Barack Obama’s long form birth certificate is a fake. 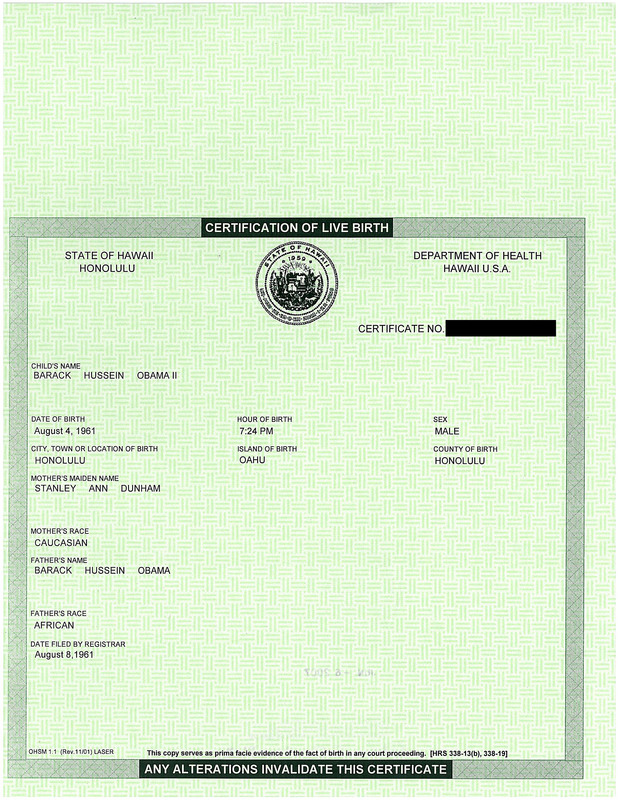 Despite the fact that his report has never been published, reliable sources confirm that Hayes has described the Obama certificate as a forgery (despite repeated verifications of its contents by the State of Hawaii). The reason for keeping the 40 page report under wraps is unknown, but we do know that Mike Zullo is the one who owns the report, and the one that has prevented its publication for over two years. Now, in a seemingly unrelated lawsuit in Arizona, Melendres v. Arpaio, a subpoena from the ACLU to Mike Zullo requests the delivery of documents that this writer believes include the Reed Hayes report. Readers may draw their own conclusion from reading the subpoena themselves. (c) any investigation conducted by Sheriff Arpaio or MCSO or agents of Sheriff Arpaio or MCSO, or on Sheriff Arpaio’s or MCSO’s behalf, of Judge Snow or of any judge or elected official, and/or their family members and/or their associates. It would seem to me that the Reed Hayes report was certainly part of a written communication; it was to Mike Zullo; and it involved the investigation of an elected official (i.e., Barack Obama) on behalf of Sheriff Arpaio. 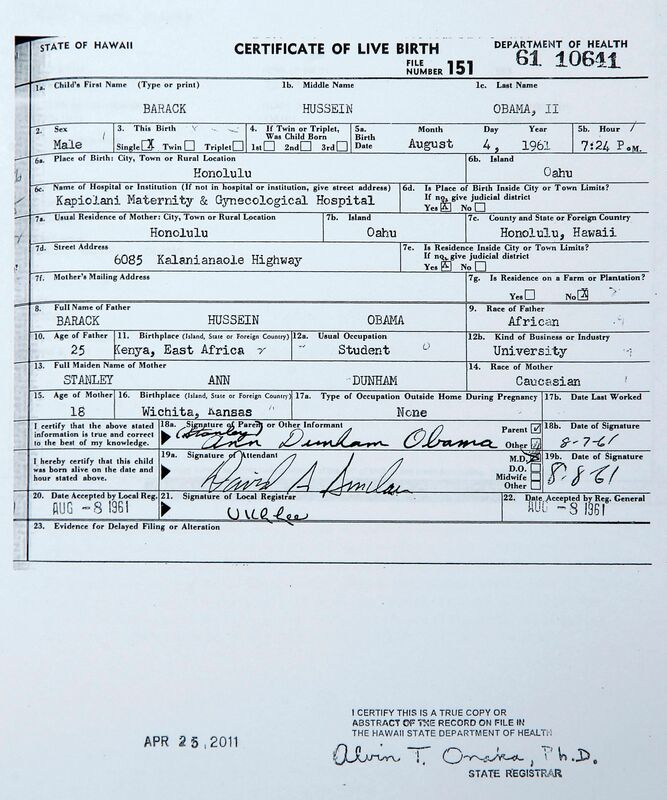 Indeed, Zullo’s entire investigation of Obama’s birth certificate would seem to be within the scope of this subpoena! Some might challenge the relevance of the subpoena of Obama investigation records to the Melendres affair; however, it goes to a pattern of behavior. As one said to me, it goes to a pattern of behavior of speculative investigations, accepting woefully inadequate information in an investigation, devoting MCSO resources to speculative nonsense instead of compliance with court orders. and investigating enemies. If indeed Hayes just buys into prior Zullo material, then it has already been debunked. Hayes has never been an expert witness for the Perkins Coe law firm, although he did work for one of their attorneys in the 90’s. Hayes is not a registered Democrat. 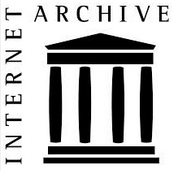 What little can be gleaned from the Hayes web page suggests that he based his conclusions on the electronic artifacts in the PDF file, many if not all of which have been reproduced scanning real documents with a Xerox machine. The ACLU subpoena has been modified not to include the period between December 23, 2011 and August 31, 2013. This would seem to exclude the Hayes report. Contempt hearings resume Thursday against birther Sheriff Joe Arpaio and Chief Deputy Sheridan in the case of Melendres v. Arpaio. Four of Arpaio’s current and former attorneys have come under scrutiny. Attorney Tom Liddy will be deposed today (Sept. 21) and the deposition of Tim Casey will continue tomorrow. The court has also ruled that some communications between the attorneys and defendants at a January 2, 2014, meeting are privileged. Mike Zullo is scheduled to be deposed October 7. AZCentral.com has a nice article. Barack Obama is a talented man — and by the way, he’s American, he’s Christian. Bush was speaking at the the Mackinac Republican Leadership Conference. Obama’s birthplace turned out not to be a critical issue in the 2008 and 2012 campaigns, where President Obama won despite birther opposition. Who would have though it would be an issue now in 2016 when Barack Obama is not even running? Yet the possibility exists that it may be the Achilles heel for Trump. Jeb Bush is polling in third place in Michigan, behind Donald Trump and Ben Carson. The way I would prefer to view the world has birthers as a basically insignificant group. I justify that view by their total failure to defeat President Obama at the polls, failure to win any of their eligibility lawsuits, failure to gather much of a crowd and failure to get anyone in Congress to investigate their allegations. 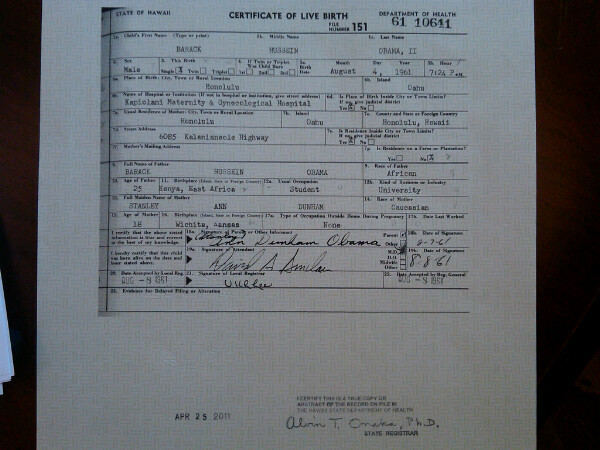 I like to think that birthers don’t matter, they are just a niche web phenomenon and there is no “there” there. When an audience member at a Donald Trump event asserted that President Obama is a Muslim not born in the United States, Trump did not challenge it. And now a backlash after that exchange has put Trump on the defensive. NPR national political correspondent Don Gonyea reports this was just one part of a tough week for the presidential candidate. DON GONYEA, BYLINE: At his town hall in New Hampshire last night, Trump made an opening statement then went right to the audience for Q and A.
PRES CAND DONALD TRUMP: All right, let’s start with this group right over here. Come on. OK, this man. I like this guy. UNIDENTIFIED MAN: It’s called Muslims. We know our current president is one. UNIDENTIFIED MAN: You know he’s not even an American. TRUMP: We need this question – this is the first question (laughter). GONYEA: Trump and audience members laughed. The man went on. UNIDENTIFIED MAN: We have training camps growing where they want to kill us. That’s my question. When can we get rid of them? TRUMP: We’re going to be looking at a lot of different things. And, you know, a lot of people are saying that and a lot of people are saying that bad things are happening out there. We’re going to be looking at that and plenty of other things. GONYEA: Now, recall that during the 2008 presidential campaign GOP nominee John McCain confronted and corrected a woman who made a similar statement about Obama. He talks incessantly about how high his poll numbers are. And so it’s not at what am I standing for, it’s how well am I doing? And if you’re running an unprincipled campaign then you’re probably not going to take the principled stand of correcting one of your own supporters, and you’re going to run into troubles like this one. And this episode was a reminder that Trump really burst on the right-wing scene and began to develop this following he has precisely by being a birther, precisely by buying into statements like that. And he was clearly reluctant to turn his back on a very significant part of his constituency. I’m not sure what to think about birther polling numbers, any more than Donald Trump numbers, but one thing is clear: birthers have an affinity for Donald Trump, supporting him far more than they do other candidates (see my article “More Republicans think Ted Cruz was born in the US than Barack Obama”). I am wondering if it is the birther vote that is sustaining Donald Trump, and why he refuses to put this issue behind him, even while saying he’s past this issue. On this and pretty much all other issues, Trump doesn’t have a substantive position. And of course for birthers other Republican candidates, and especially Ted Cruz, aren’t eligible anyway. I think his remark about Ted Cruz (see my article “The Donald says Ted Cruz eligible: Birthers wail”) being eligible just shows him shooting from the hip, oblivious to what his supporters actually think. If we are to believe the PPP, 61% of Trump’s supporters are birthers. To repudiate them would be to sink his campaign. While I say that birthers have accomplished nothing, having what they think as one of their own as the front-runner for the Republican nomination for President is no small accomplishment for the movement. Who knows what Trump actually thinks? Republican Senator and presidential candidate Lindsey Graham says that a birther cannot be elected President, and there is the rub for Donald Trump. If Graham and I are right, Trump cannot get the nomination without the birthers, and he cannot get elected with them.